Listen mate. Mate! Mate? Remember PAT PILCHER? Yeah, everyone’s mate’s mate, right! So he’s the perfect mate to get up close and friendly (mates, that is) with the new Huawei MateBook. HUAWEI ARE A wee miracle, having gone from an obscure budget handset maker to the third biggest in the smartphone market. 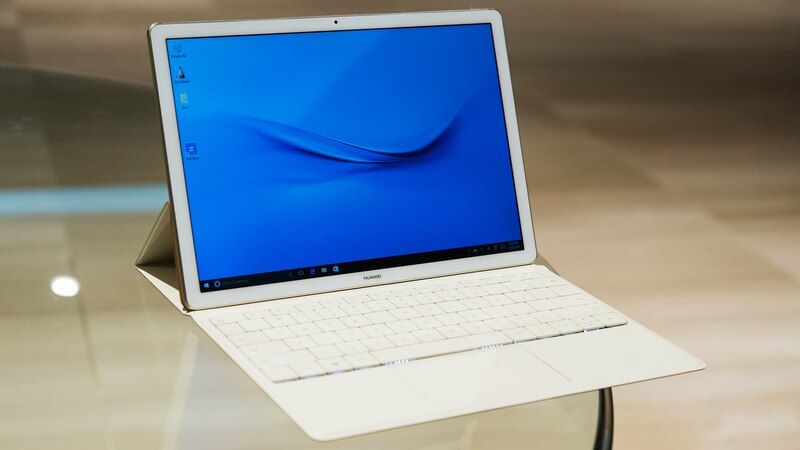 Now they’re eyeing up the PC market with the MateBook PC, and 12 months after its announcement at Mobile World Congress, the MateBook has finally arrived in NZ. Here are my first impressions. Being a 2-in-1 beastie, the MateBook is essentially a Windows 10 tablet with a keyboard. This translates into a slim and elegant alloy unibody design giving it more than a passing resemblance to a smartphone with a steroid habit. Its thin and lightweight build also makes for great portability. Weighing in at just 640 grams, it’s a joy to carry too. Its chassis is topped by a 12-inch LCD display whose colour saturation, contrast and colour accuracy are excellent. The whole MateBook schamozzle folds into a neat portable package that looks a lot like a classy looking leather attaché. All told, the MateBook is an elegant looking piece of gear. Looks aside, Its design is helped by the fact that it is hewn out of premium materials for an upmarket feel too. The MateBook’s expandability options are limited, because it only has a single USB C port. This said, Huawei sell the optional MateDock. Maaate! It brings 2 USB 3.0 ports, an Ethernet LAN, VGA, HDMI and another Type C port to the party. It also features the same slick leather styling as the MateBook. 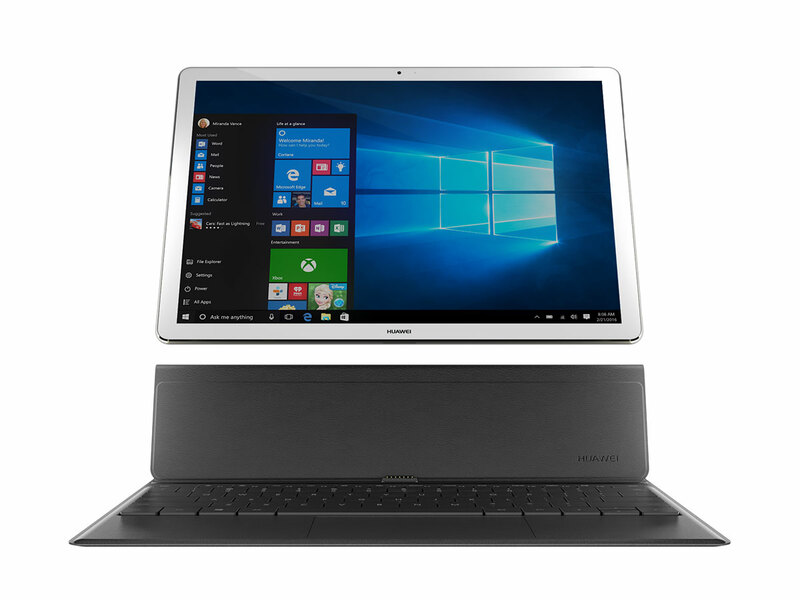 Using the MateBook’s touchscreen display is as easy as using one of the five meat-sticks on your hand, but Huawei’s MatePen stylus is an even better option. Huawei have given it a rubberised tip which adds friction and makes it feel like using a pen on paper. The MatePen also has a laser pointer baked in, which is useful for delivering presentations. Frustratingly, there is no integrated stowage on the MateBook for the MatePen, which could see the MatePen easily lost. While the MateBook isn’t a killer games machine, it could handle Photoshop chores with ease. Basic games also ran smoothly. Much of this is due to the fact that it sports an Intel Core M 3/5/7 CPU. Huawei have also added a generous dollop of 4GB RAM and a 128GB or 256GB SSD. Boot up and power down times are quick, and Windows 10 feels responsive. The MateBook’s front camera uses a 5-megapixel sensor (which is enough to show Skype meeting attendees you’ve had a rough night out and are in recovery mode). There is no rear camera. Battery life clocked in at 5 hours 45 minutes with continuous use. Sure there’s hardware that can beat this battery life, but it probably isn’t as slim or portable as the MateBook.